Richard Eisiminger, Broker, has been hand crafting RichRealty into a business that represents the hardworking community that we share. Beginning as a carpenter, Rich knows what hard work is all about having built homes throughout Southeastern Michigan. Now, you can find him working at the office or out donating his time with the Plymouth Rotarians, working on our streetscapes or managing the Chicken Dinners in the Fall. 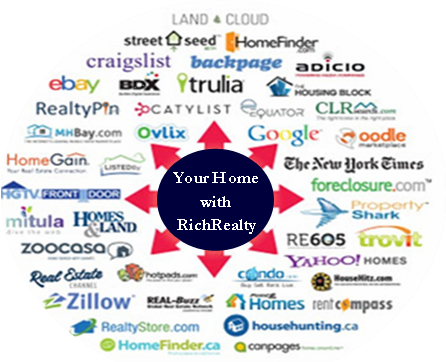 RichRealty is a Company based on strong traditions, being involved with the Community, and giving back. RichRealty has recognized that keeping pace with technology is a vital part of our success. Additionally, not forgetting that the trustworthy handshake got most of us here today. The use of web based marketing, social media, individual networking, and our Multiple Listing System are just some of the means that we communicate, advertise and market your home. We are able to present your home and all it's attributes to thousands of people instantly with one click of the mouse.